Venafro is the city of Pontius Pilate. In fact, after returning back to his villa in Venafro from Judea, Pilate must have recounted the events that took place in Jerusalem, right in his home. This ancient place, a.k.a. 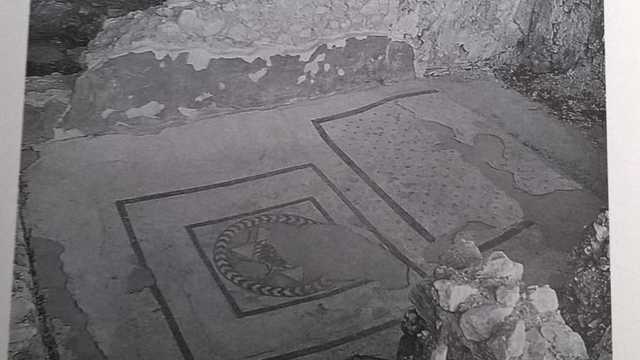 Villa Pilato, is still visible today, with its ancient floor mosaic representing the Star of David, symbol of Judea. 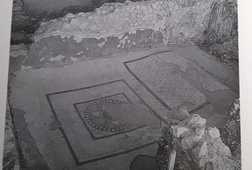 After all, Pilate might have been Samnite, and Roman procurator at the time of Christ. Furthermore, his neighbors' villa, most likely belonging to Agrippa and Julia, emperor Octavian Augustus only daughter, shows the archetype of all modern churches, including the altar at the center, between two vestibules (ab-sides.) It is also possible to do some trekking along the slopes of Mount Holy Cross, where Pontius used to walk, among centuries old olive trees, reminding of the Gethsemane in Israel. I will tell you stories of legends past and the religious influences that have made this city the way it is today. The tour includes Mount Holy Cross, also praised by Ovid for its olive trees, and Venafro's National Archeological Museum, where it is possible to see a magnificent and intact Roman version of the original statue of the Venus, or Aphrodite of Milos, by sculptor Praxiteles, permanently displayed at the Louvre Museum in Paris. A tour of the ancient Roman theater, amphitheater, and the Lombard-Norman Castle, displaying some Nottingham alabasters representing the Crucifixion and the Holy Grail may also be possible. If desired, I could even take you to Nola and Cimitile as well, about an hour drive from Venafro. Both were Samnite territories, even before the time of Pontius Pilate. In fact, Samnites spoke the Oscan language, and the only archeological finding with examples of written Oscan is preserved in Nola. Whereas, the nearby town of Cimitile hosts the Paleochristian Basilicas, with the very first bell tower ever constructed to spread the gospel by word of mouth, way before the discovery of the books of the Bible. Receive special offers, VIP invites and exclusive updates for Venafro.